The Last Days of Tech House? Parisian born, Leeds residing Brawther lights up one of the world’s best clubs. Two of our favourites combine on this expertly selected mix. Brawther is an artist who has consistently erred on the side of quality over quantity since his breakout EP as Paris Underground Trax on the supremely hot vinyl-only label My Love Is Underground in 2010. He only delivered one EP in 2017, but it landed on a heavyweight label for lovers of authentically deep house, Cabinet Records. We hear he is hard at work on a new album, but to tide you over until then, he has recently made public a recording of his set from the Ukraine’s Closer in December 2017. 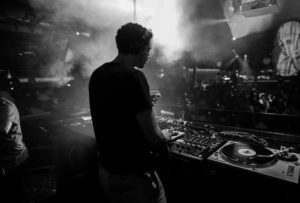 Closer has established itself as one of Europe’s key taste making clubs in recent years, as well as one of the most essential stop offs on the global minimal house circuit. If you were there you’ll have savoured every second of this. The rest of us can be thankful for the Internet.